The effect atmospheric water vapour has on electromagnetic waves travelling through the atmosphere, is generally considered to be large, and necessary to model and correct for. 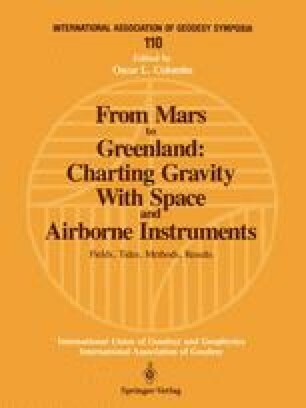 This study investigates the effect of such corrections used in space altimetry. Interest is focused on the Seasat radiometer derived correction for wet troposphere. The improvement obtained by using this correction is only a few percentages on the noise figure, but plots show that stable variations can contribute with errors to the geoid. This is reasonable, as averaging of altimeter profiles (tracks) will reduce time varying components only. It is therefore concluded that the effect is large also in this sense, and that altimeter satellites which do not carry a radiometer device, in this respect can introduce errors over areas with high atmospheric water vapour content.